Right from its origins, Breguet has consistently appealed to women through its creations mingling jewellery sophistication and mechanical prowess. In creating precious gemset timepieces, Breguet watchmakers and master-jewellers draw inspiration from the prestigious women whose names have historically graced its order books. This year, Breguet is paying homage to the Empress Josephine, first wife of Napoleon Bonaparte, by unveiling a model entirely dedicated to her: the Perles Impériales Haute Joaillerie watch. Josephine was a passionate art lover and a fervent admirer of Breguet’s work, who contributed to enriching the large collection of Breguet watches owned by the Bonaparte family. In 1800, she notably acquired a small tact watch, no. 611, recognisable by its blue enamel case and the diamonds adorning its caseband. The model presented this year in the High Jewellery collection is inspired by this unique model and recalls the jewellery sets and other adornments worn by the Empress. Brilliant-cut diamonds finely set around the rim of the bezel accentuate the oval shape of the case typifying the brand’s ladies’ collections. Breguet has taken aesthetic refinement to extremes by incorporating an additional row of diamonds beneath the prongs, held in place by the delicately crafted gold wires of the chaton settings. 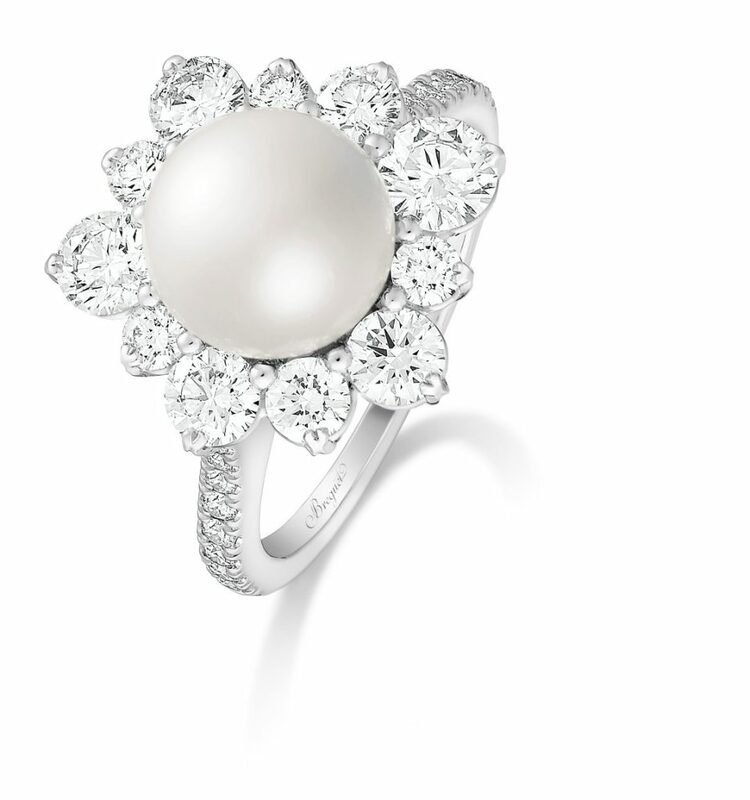 The overall effect is further enhanced by a strikingly large pearl replacing the famous ball-type lug at 6 o’clock, the distinctive signature of High Jewellery and Reine de Naples models. A flange set with brilliant-cut diamonds, along with four diamond markers – at 3, 6, 9 and 12 o’clock – contribute to the radiance of this creation, adorned with almost six carats of diamonds. The Perles Impériales model is available in two versions, the first with a white gold case and a natural white mother-of-pearl dial adorned with a supremely fine engine-turned motif reminiscent of dainty embroidery work. It is set at 6 o’clock with an Akoya pearl. The second variation comes in a rose gold case set with a Tahitian pearl, framing an engine-turned Tahitian mother-of-pearl dial. Like all Breguet timepieces, these creations house a mechanical movement endowed with the brand’s latest innovations in the field of fine watchmaking. A sapphire crystal caseback provides a chance to admire the entire set of components, including a silicon balance-spring, as well as the meticulous engine-turning on the oscillating weight, reflecting the dial motif. In order to offer women the possibility of wearing their Perles Impériales with matching jewellery, Breguet’s master-jewellers have created a jewellery set echoing the Empress Josephine theme. 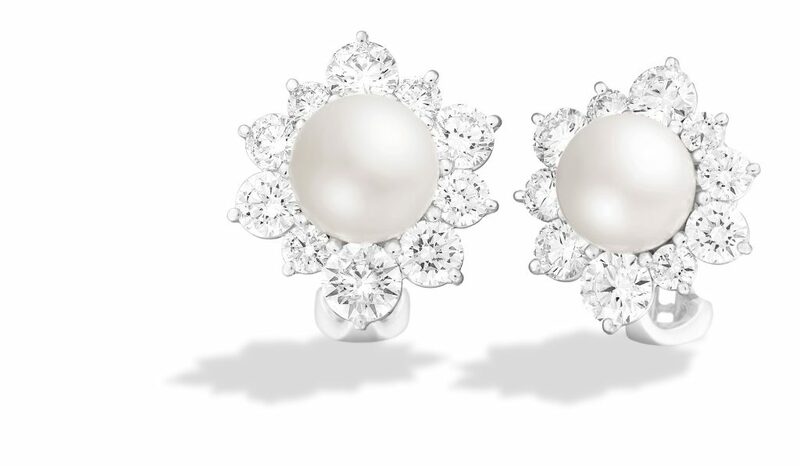 This High Jewellery ensemble composed of a ring and a pair of earrings is designed around a remarkable sized pearl surrounded by brilliant-cut diamonds of varying diameters. The gemsetting technique magnifies the radiance of the diamonds and highlights a longstanding jewellery tradition in a distinctively contemporary manner. A double prong setting supports each stone, ending in a subtly suggested heart shape on top. The Perles Impériales ring is set with approximately 1.88 carats of diamonds, while the pair of earrings is adorned with around 3.28 carats of diamonds. The Classique Hora Mundi by Breguet is the first mechanical timepiece with an instant-jump time-zone display system with synchronised date, day/night and city indications. At the time of its launch in 2011, this model caused an immediate media sensation. 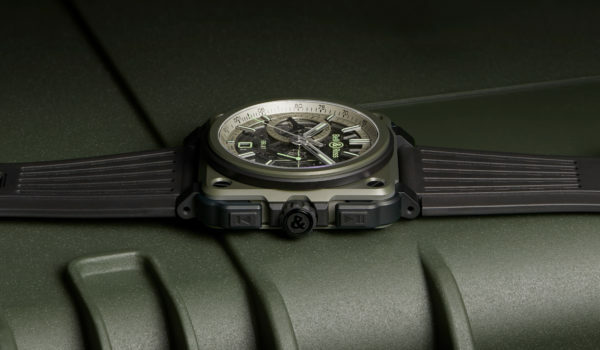 The international watch magazine Revolution named it watch of the year in the “Technical Achievement” category. In Switzerland, the Classique Hora Mundi won the public prize voted by the readership of The Watches Magazine. 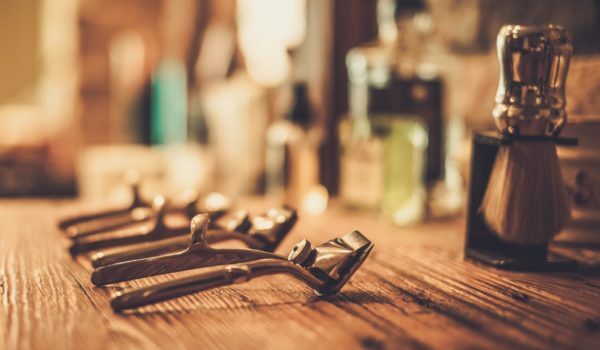 In China, it earned the admiration of the Robb Report, which awarded it the prestigious “Best of the Best” title. 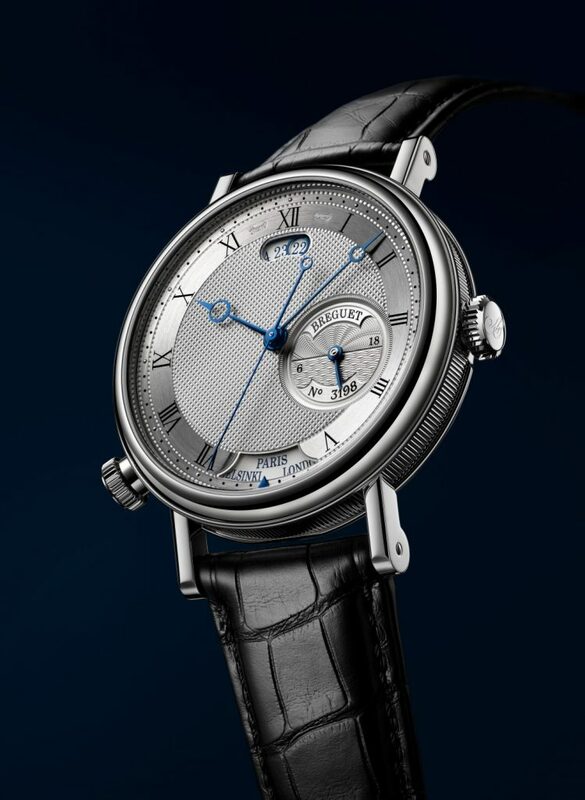 Breguet is now introducing a new interpretation of this timepiece: the Classique Hora Mundi 5727. In place of a depiction of the globe, the dial of this 2016 edition features a “clou de Paris” hobnailing motif entirely hand-crafted on a silvered gold dial. The 24-hour indicator located between 3 and 4 o’clock has been adorned with two different types of engine-turning. Its upper part is enhanced with a flame pattern and bears the Breguet inscription, while a cross weave motif graces the lower section stamped with the watch’s serial number. The hours and minutes are displayed by means of the Breguet open-tipped hands, which sweep around a chapter ring bearing Roman numerals transferred on a circular satin-brushed surface. The Classique Hora Mundi with its single set of hours and minutes hands and no subdial is unlike other GMT or dual-time watches. Its single pair of hands is linked to a mechanical memory located beneath the dial and capable of keeping track of the time in two time zones. It is thus possible to adjust the time both in one’s place of residence and in another place in the world, and to display one or the other on demand. Four patent applications were filed when it was designed. The first was for a timepiece comprising a mechanism with two time zones; the second covered the display of a time zone on demand via the main set of hands; the third was for a programmable and reprogrammable mechanical memory wheel for a timepiece; and the last for a mechanism for displaying a temporal dimension by means of a dragging hand. 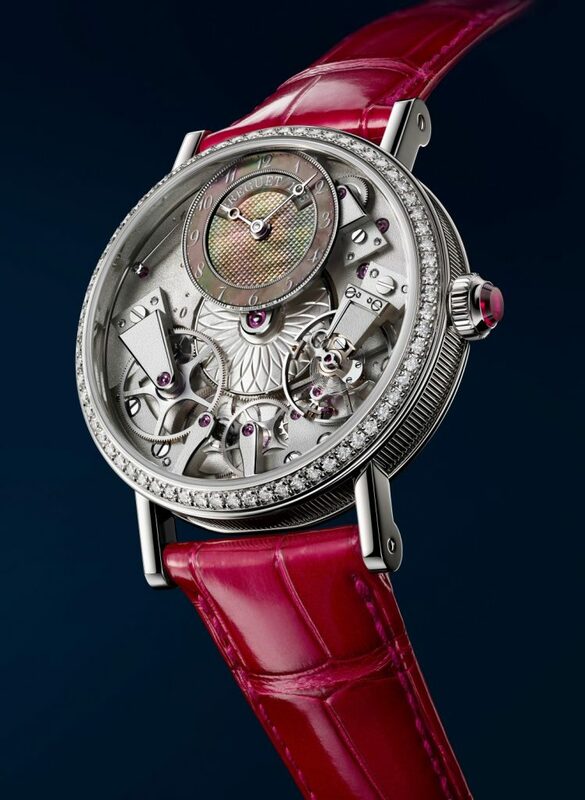 In terms of its exterior, this watch measuring 43 mm in diameter and 12.6 mm thick – compared with 13.55 mm for the 2011 version of the Classique Hora Mundi – is available in 18-carat rose or white gold versions. It is fitted with a sapphire crystal caseback and features a number of sophisticated touches such as a slim rounded bezel, a caseband with finely fluted sides, as well as added welded strap lugs. Breguet’s Tradition collection welcomes a new self-winding Tradition Dame 7038 model. Women with a penchant for prestigious watchmaking and keen on acquiring an iconic timepiece will be impressed by this elegant and technical Tradition watch featuring an ultra-modern, graphic structure exhibiting almost all the movement components on either side of the mainplate. It features a central barrel, a subdial at 12 o’clock bearing hands directly driven by the barrel, as well as a balance-wheel and intermediate wheels forming an arc stretching from 4 to 8 o’clock. The bridge bearing the escapement is reinforced by a hand-chamfered pare-chute – a Breguet invention that serves to protect the balance-staff from shocks. 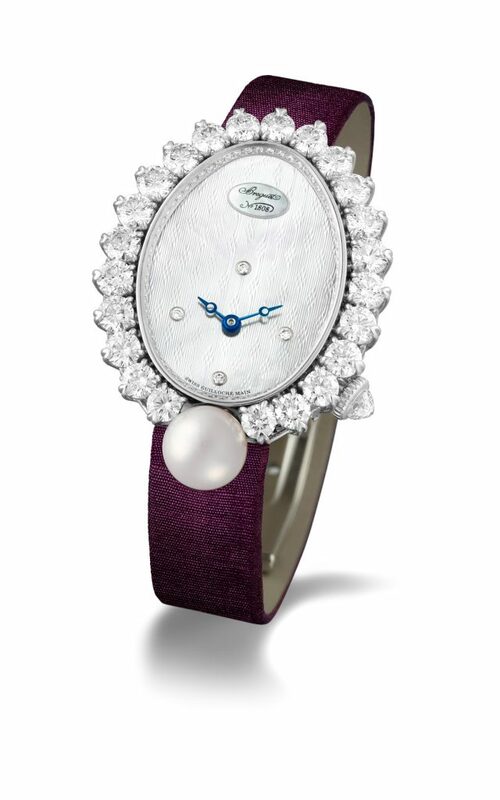 In terms of its display, the Tradition Dame 7038 shows the hours and minutes on a Tahitian mother-of-pearl dial. 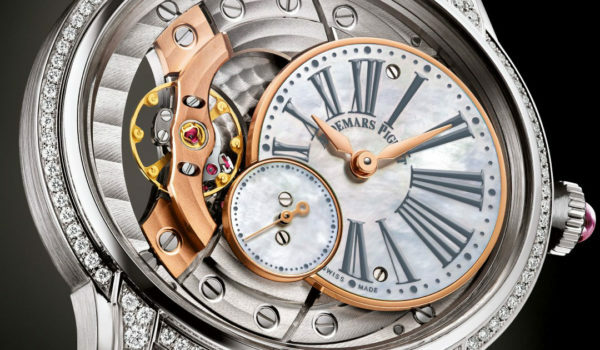 These indications are complemented by the retrograde seconds engraved on the movement face at 10 o’clock. Brilliant-cut diamonds set on the bezel and a watch movement jewel placed on the crown further contribute to the character of this Tradition Dame 7038.